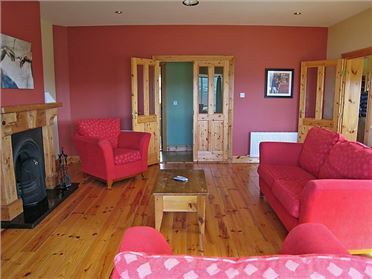 Clifden is a vibrant and popular town located in the western reaches of County Galway, close to the famed Connemara National Park. It is home to a fantastic range of pubs, shops and eateries and plays host to a variety of colourful festivals and events which are held throughout the year. It is the Capital of Connemara and is perfectly located as a base for exploring this stunning region, with its unparalleled beauty and breathtaking natural landscapes. Oil central heating with electric fire. 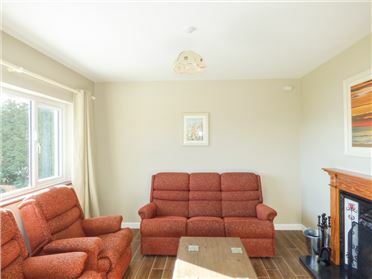 Electric oven and hob, microwave, fridge/freezer, washing machine, dishwasher, TV with Free-to-air channels, DVD, selection of books, games and DVDs. Fuel and power inc. in rent. Bed linen and towels inc. in rent. Travel cot and highchair. Off road parking for 2 cars. Patio with furniture. Sorry, no pets and no smoking. Shop and pub 5 mins walk. Note: No stag/hen parties, or similar.